Working at a US summer camp provides many great opportunities. Regardless of job type, international staff get a great resume boost, are able to meet other staff from around the world, experience great outdoor adventures and have a chance to visit locations in the US after the camp season. US summer camp employment requires that foreign nationals obtain a J1 Exchange Visitor Visa in the category consistent with the position accepted: camp counselors require a camp counselor visa and support staff require a summer work travel visa. Each visa has specific eligibility requirements. 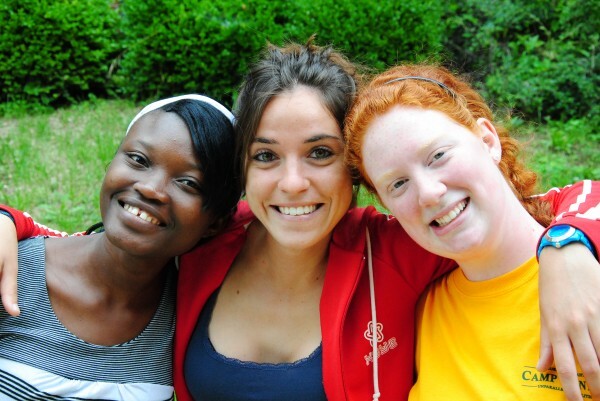 The camp counselor and summer work travel exchange visitor visas cover almost all of the camp employment opportunities. The Exchange Visitor Programs are designed to promote cultural exchange and understanding between countries by allowing eligible foreign nationals to live and work in the US in order to help subsidize their travels. The summer camp experience has long been a great way to facilitate this cultural exchange. Participants are immersed in American Culture as they live and work with American campers and staff and take part in the day to day activities as well as trips off campus. Even better, participants are safe and secure in a family-like environment and have no worries about living expenses with lodging and meals provided. The US government allows certain organizations to provide the visa sponsorship necessary to participate in these programs. US Department of State J1 designated sponsors will review your information and your employment to determine whether you are eligible for the program and will contact you if further information is required. See Eligibility Requirements below. Certain countries require a local agent for embassy application, while others permit individual applications. Contact us for more details. Possess strong English language skills. Possess two or more camp related skills that you can teach or assist in teaching to kids at camp – the stronger your skills and application, the better the chance of a placement at camp. Have sufficient funds to pay for program fees, flights and all additional costs. Be independent and self-motivated. You are required to be pro-active in the application process. It is important to understand that living and working in a new country will be challenging at times and is a learning and life experience, not simply a holiday. Be enrolled full-time and pursuing studies at accredited post-secondary classroom-based academic institutions physically located outside of the US and have successfully completed one semester or equivalent of post-secondary study. Possess competent English language skills. Willing to work long hours in a team setting.